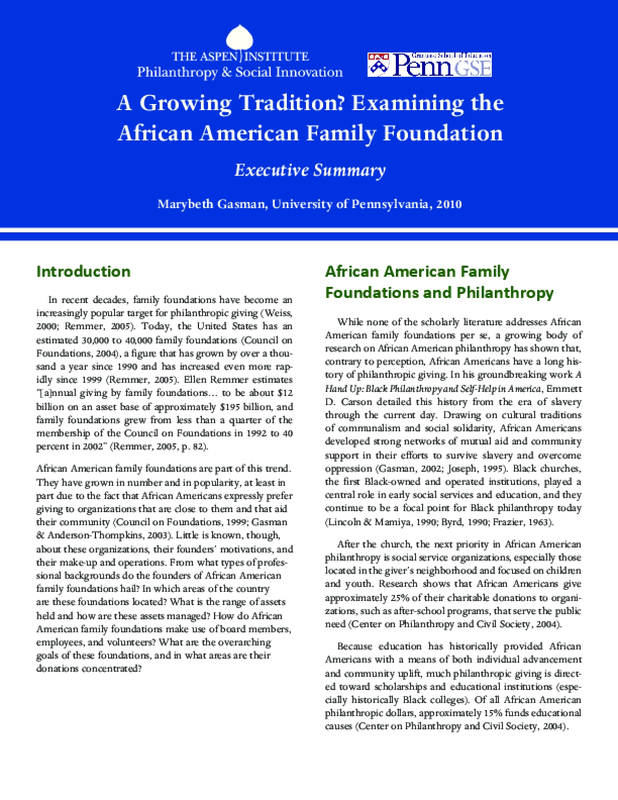 African American family foundations have grown in number and in popularity, at least in part due to the fact that African Americans expressly prefer giving to organizations that are close to them and that aid their community. Little is known about these organizations. What are the overarching goals of these foundations, and in what areas are their donations concentrated? Copyright 2010 by Aspen Institute . All rights reserved.